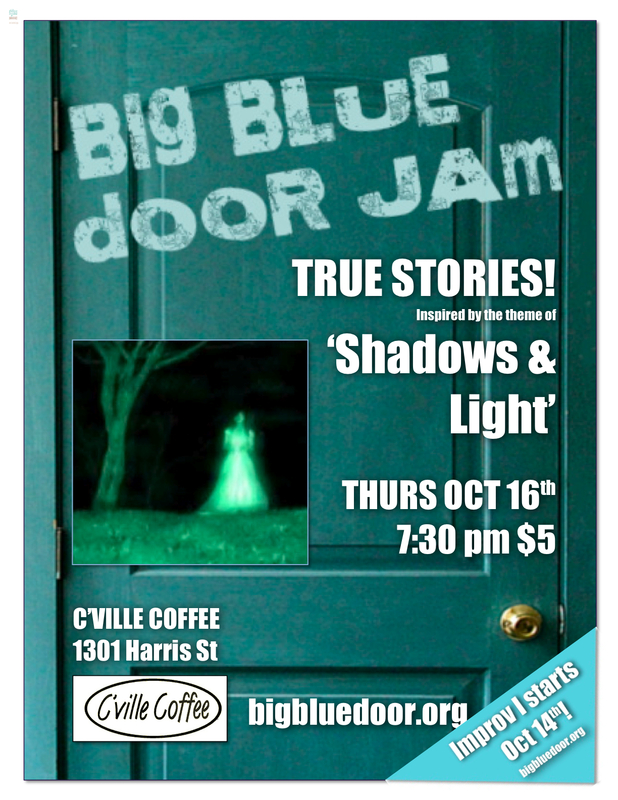 The Big Blue Door Jam returns to C’ville Coffee on Thursday, October 16th (Showtime at 7:30pm!) with true stories inspired by the theme of ‘Shadows and Light.’ Yes, it’s our amazingly haunting annual Halloween show with true stories about everything that’s spooky and weird. Life, death, apparitions, spirits real and metaphorical, and things that go bump in the night! Note that showtimes have been moved forward to 7:30pm! Hosted by Graelyn Brashear and Brian Weisbrod! Do you have a true story that you’d like to share for our October Jam? We still have space for you! Read this and sign up!